This energized hand made Yantra is very effective in combating the negative environment and quarrels at home. Quarrels happen due to negativity in the environment of a house. This yantra when pasted in the kitchen on the wall between water source (sink, water tap) and the fire(Stove) and worshiped daily, gives immense benefit and stops the fights and removes negativity considerably. 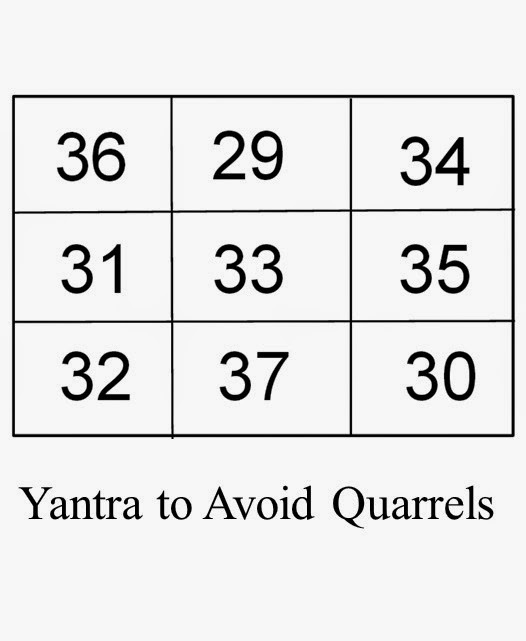 Ready made Yantras are easily available in the market but most of them are of no use because they are not energized and not made in an auspicious Muhurta. Energized Hand Made Yantras give the most benefit.